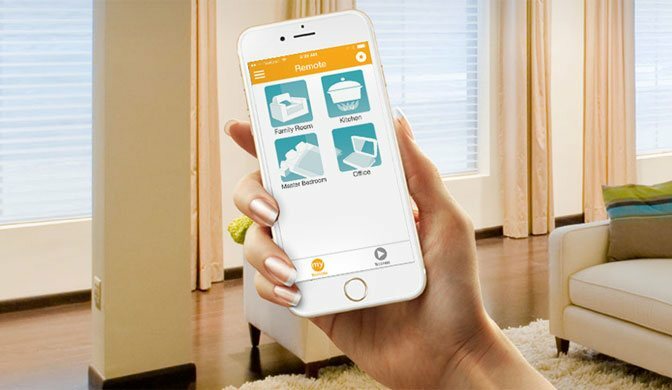 Control your window treatments at the touch of a button on your smartphone, handheld remote, or wall remote. And now you can say it with Amazon Alexa! Our complete line of contemporary window coverings brings you an extensive choice of colours, materials, fabrics, and features. Being green needs no compromise. When it comes to green design, function, and performance, your space deserves the very best in environmentally sustainable fabrics. Control your window treatments at the touch of a button. Convenient and stylish, our line of remote controls and wireless wall switches let you easily raise and lower your blinds & shades with comfort and ease. Enter your postal code to find a dealer near you.